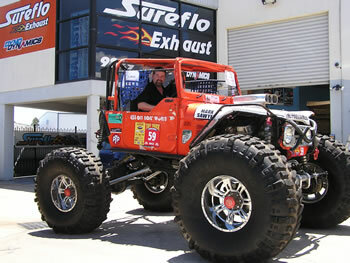 Sureflo works on all types of off road vehicles, even TUFF Trucks & offroad racing buggies. 4x4 vehicles are becoming more and more popular, station wagons, off road beasts, or tow tugs for caravans, boats and car trailers. Whether they be 4 cylinder, 6 cylinder, V8 or turbo diesel they are the fastest growing segment in the market. As they are heavy, they need torque more than ultimate power numbers. They need the torque to climb hills, get out of mud, or to tow. 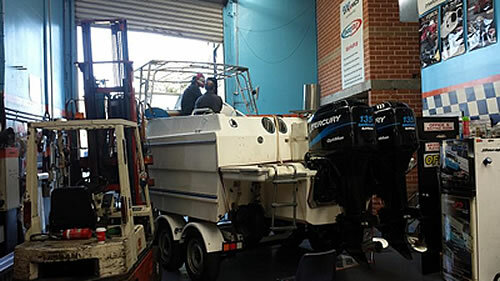 More people are buying caravans and travelling around Australia, therefore pulling power combined with fuel efficiency are of paramount importance. 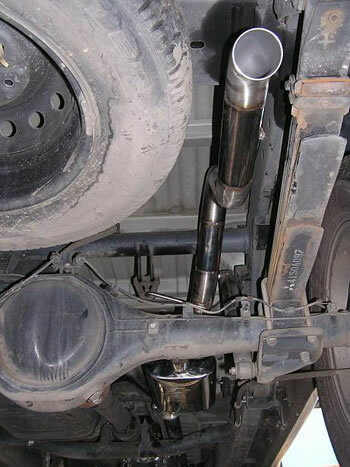 If you do a lot of off road work, the last thing you need is for an exhaust system to be ripped off or damaged because it wasn’t strong enough, or high enough. If you travel on beaches or around the surf, rust can be a consideration as well, so stainless systems are more durable and don’t rust. Sometimes a stainless system can be not much more expensive than a mild steel system. You may need some bash plates, welding, tube bending, or even mods for camping, so keep us in mind for all of these as well. Over the years we have made all sorts of camping items, bbq plates, fire grills, and stands for LED lighting. These photos show the new, custom made stainless exhaust system we made for this ute, including the Ballistic 100cpsi Racing Cat, and custom dump pipe off the turbo. They increase power and torque, make the engine rev more freely, and if your manifold cracks it is often the cheaper alternative. There are many brands available and usually the price reflects the quality. Usually the cheaper sets are press bent and the dearer sets are mandrel bent. By far the best quality is Pacemaker as they spend a lot of money on R&D to make sure they perform, fit properly, and are made properly. There are also good quality brands, such as Genie. 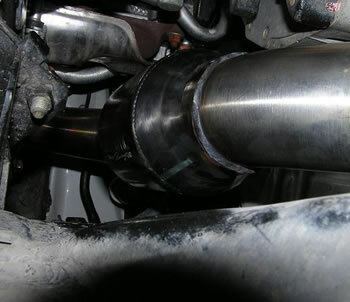 This is the single biggest restriction on your exhaust system so it is important that it is looked after and changed at regular intervals as they clog up over a period of time. A Ballistic 100cpsi Racing Cat has much bigger internal holes, so it flows better and more resistant to clogging up. Being stainless substrate, they are less prone to impact damage and less prone to meltdown and cracking than the standard ceramic type substrate. 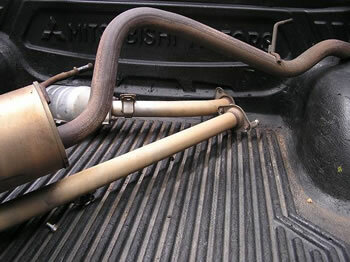 Some of the newer Turbo Diesel vehicles are fitted with DPF (Diesel Particulate Filters), and some go through a self cleaning mode, where they use excessive amounts of fuel to clean the substrate, then this unburnt fuel, along with the dirty soot and carbon is put back into the engine to burn. This can’t be good for engine life, and the fuel can contaminate the oil in the sump which reduces lubrication effectiveness. 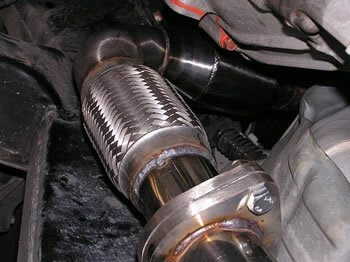 The Catalytic Converter has internal holes/tubes that are tiny but open at both ends. The tubes inside the DPF are open one end and closed on the other end. If the inlet side is open, the outlet side is closed. The tube next to it is open on the opposite end. Therefore the gas and soot enters the open tube and then permeates through the sidewall to exit the tube next to it. The gas gets through but the soot remains inside the tube. The self cleaning mode tries to remove the soot from these tubes. 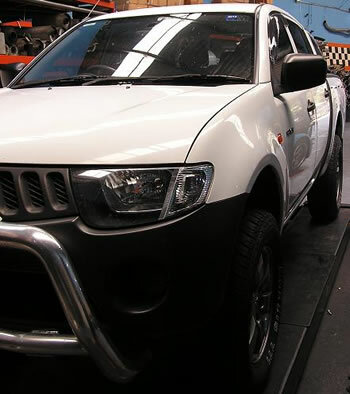 For the vehicle to go into self cleaning mode it must reach highway speeds of 80km/h for a sustained period. City vehicles often do not get to these speeds so the DPF does not regenerate, and they clog. When it gets to around 40% clogged, the vehicle stops. 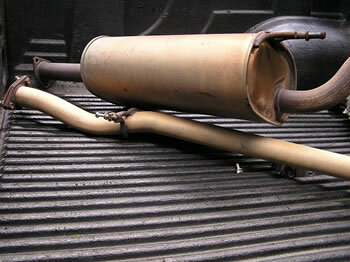 We can supply aftermarket DPF’s for a fraction of the genuine DPF. The standard exhaust systems are usually very restrictive, and whether it be a petrol, diesel, NA or turbo, the performance will be enhanced with a free flowing sports system. 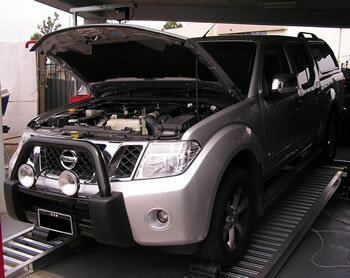 Diesels and especially Turbo diesels are usually fairly quiet, and don’t need much back pressure to perform. If you have a wagon, or, if you do a lot of towing, then you need to consider drone when you are cruising. We have heavy duty straight through mufflers that are large body and designed for power and fuel economy in mind, but big enough to absorb the droning (drumming) inside the cabin when cruising. 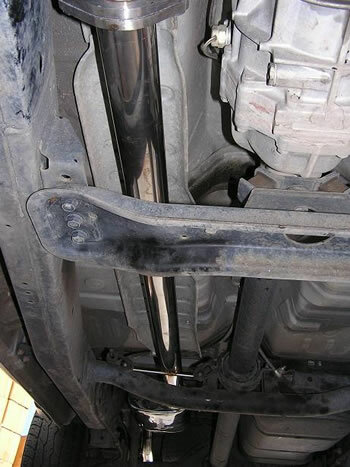 Thin mufflers can sound very tinny, and when off road can be penetrated by branches or debris, and if you are in the middle of nowhere, it can become a drama to fix. 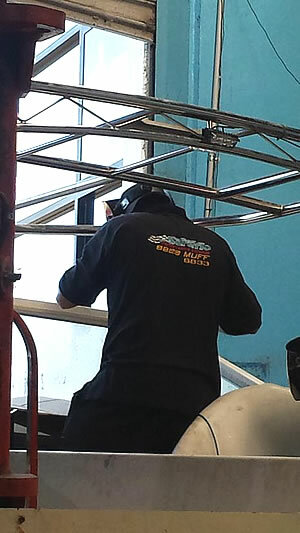 We have our own heavy duty straight through mufflers which will last the distance. 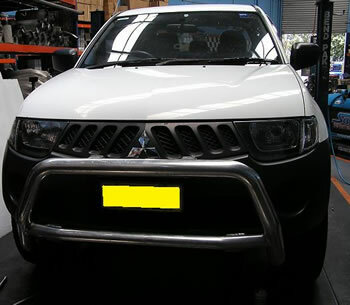 At the moment there are many brands of aftermarket kits available to suit 4x4 vehicles, such as Genie, Legendex, Pacemaker King Brown, X Force, Redback and Supercat. The standard tune, especially on turbo diesel vehicles is usually pretty poor when it comes to power, torque and fuel economy, especially when other power enhancers such as the Exhaust and intake have been done. 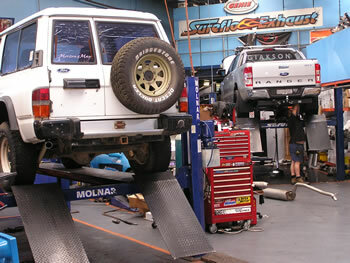 A tuning chip will help make the best out of your vehicle. In Asia, they race the turbo diesel 4 door utes, and they make massive amounts of power. This means there is plenty of room to increase the power, drivability, towing ability, off road performance, fuel economy, as well as still being a safe tune. This boat had cracks in the stainless pipe work in the cabin and tuna tower that we TIG welded and reinforced. We also added some extra stainless tubes to ensure it didn’t crack again.